The Section 184 Home Loan Guarantee is synonymous with home ownership on Tribal land. As of January 20, 2012, the Section 184 program has guaranteed over 15,000 loans, worth a total sum of $2.4 billion, to various individuals, Tribes, and TDHEs. But, like all Federal legislation and regulation, it can be difficult to understand. So, to help with that, we’ve put together an explanation of the HUD Section 184 Home Loan Guarantee. Native Americans have a special relationship with the United States Government. To be precise, each Tribe is a sovereign nation unto itself, operating within the borders of the United States. This means several important things. Operate on a government to government basis with the United States, rather than as a ward of the government. Have unique legislation and regulations within the borders of their reservations. Adjudicate (process) legal cases within their own borders. Levy and collect their own taxes within their borders. Pass votes on their own future and current laws. It is the combination of Tribal sovereignty and the United States governmental responsibility to protect Tribal land that created the need for Section 184 loans. These two factors created difficulties in bringing needed housing dollars to native lands. Private lenders lacked the legal standing they require to foreclose on Tribal land they had mortgaged, and the Federal government preventing the alienation of land held in trust for Native Americans. So private lenders had no way to enforce payments on loans, causing a lack of home mortgage loans on Native American land. Created by the Housing and Community Development Act in 1992, it was made to address a lack of mortgage lending in Native American Territory. The program offers a loan guarantee to private lenders who provide mortgage loans to eligible borrowers in Indian Country. This encourages and promotes mortgage loans within Indian Country, helping foster home ownership and healthy communities. Section 184 Home Loan Guarantees has multiple benefits to encourage Native American home ownership. Nevertheless, it’s important to fully understand the workings of Section 184. Section 184 works in two distinct ways. If the land is on tribal trust land, the eligible buyer works with BIA and their Tribe to set up the home as a leasehold estate. This effectively turns the property into a leased entity for the duration of the mortgage plus 10 years. Before this can happen it must be first be approved by the Bureau of Indian Affairs (BIA) and a lease must be approved and issued by the Tribe. The lender can only pursue liquidation of the lease and asset only after offering to transfer the loan to an eligible tribe member, the tribe, or Indian Housing Authority. 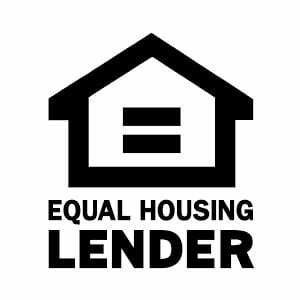 In event of foreclosure, the lender cannot sell the land to anyone other than an eligible tribe member, the tribe, or the Indian Housing Authority. These regulations make sure the tribe’s land stays intact, and the tribe has the ability to take over the loan of foreclosed property. So, lenders and tribes rights are both protected. For frequently asked questions (FAQ) visit our page here (link), or simply give us a call at 866-235-4033. For frequently asked questions visit our FAQ page, or simply give us a call at 866-235-4033.
Who is eligible for a Section 184 Loan?